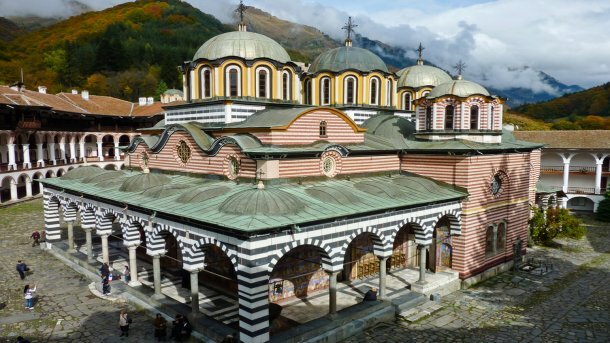 JOIN US ON A FANTASTIC TOUR ACROSS THE UNESCO WORLD HERITAGE SITES OF AUTHENTIC BULGARIA! Geographical position of Bulgaria on the crossroads between the East and the West is influential to the country’s rich and colorful cultural heritage. According to the statistics, Bulgaria ranks third in Europe only after Greece and Italy for the number of its valuable archaeological monuments. UNESCO has placed 9 sites on its List of Cultural and Natural World Heritage. Bulgaria can be an excellent starting point if you wish to explore the other neighboring countries of the Balkan Peninsula region - Romania, Serbia, Macedonia, Greece and Turkey. Your trip will begin in the capital city of Sofia. Upon arrival at the airport, you will be taken to your hotel to check-in for your two night stay. A tour of the city will follow during which you will visit Sofia's main landmarks including the Alexander Nevsky Cathedral, Holy Sophia Church, The Russian Church of St. Nicholas the Miracle Maker, St. George's Rotunda, the Ivan Vazov National Theatre, the National Palace of Culture, Parliament Square and the National Archaeological Museum. After breakfast, you will visit the nearby Boyana Church, one of nine UNESCO World Heritage Sites in Bulgaria. Inside, its frescoes from the 13th century are highly regarded works of Eastern Christian art and attract visitors from all over the world. Built in the 10th century, the church is considered one of the earliest symbols of the Renaissance period. Following your visit, you will be free to explore the rest of the city or return to your hotel. You will depart for the town of Pleven and its Panorama monument before continuing to the Ivanovo Rock Monasteries. Formed out of solid rock, this is another site under UNESCO protection. The rock formations and 14th century frescoes are exceptionally preserved. A busy day concludes with an overnight stay in Ruse, a charming town on the Danube River, known as 'Little Vienna' for its beautiful architecture. 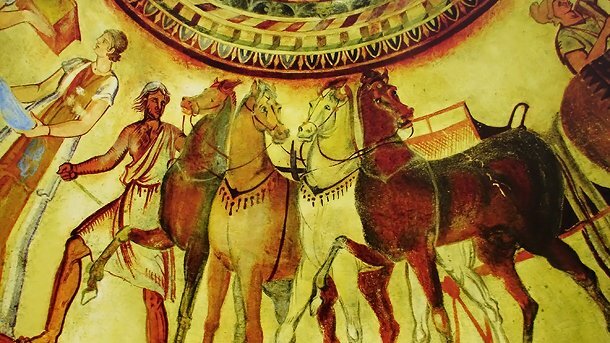 The Thracian tombs of Sveshtari is your next destination before trips to Pliska - the first capital of Bulgaria - and the Madara Horseman National Preserve precede your three night stay in Varna, the third largest city in Bulgaria and the primary calling point on visits to Bulgaria's Black Sea coast. The city of Varna marries a splendid coastline with a vibrant metropolis. The Black Sea is the biggest attraction in the area but Varna is more than just a seaside resort. The former ancient Greek colony has many notable sights including the 2nd century Roman thermal baths, the Cathedral of the Holy Mother and several museums - the National Revival Museum, the Natural History Museum, the Navy Museum and the Ethnographic and Historical Museum - if you need an escape from the crowded beaches. Varna is also popular amongst animal lovers with the city's aquarium, zoo, dolphinarium and the Sea Gardens amongst the options for your day here. You will journey to the one of the oldest towns in Europe, Nessebar. Nessebar's Old Town is dotted with archaic monuments and architecture from through the ages before returning to Varna for your final evening by the sea. The medieval capital of Bulgaria, Veliko Tarnovo, and the fortress of Tsarevets, is symbolic of the reign of the Second Bulgarian Empire. The town is steeped in regality as the former home of several Bulgarian Emperors with its palaces, marketplace and patriarchal cathedral among the points of interest before you return to your hotel. The Etara open air museum commemorates the arts and crafts traditions of the region and you can get a real sense of the skill and passion of the craftsmen here. Bulgaria is also famous for its production of rose oil and hosts an annual Rose Festival and you will be able to get an insight into this bustling trade in the Valley of Roses. Shipka is home to the Memorial Church, a tribute to the soldiers who died during the country's liberation from Ottoman rule, and some of the most spectacular views of the mountain range. Kazanlak is the final stop on your whirlwind tour of northern Bulgaria, where you will take in the sights of the Museum of Roses and the Thracian tombs. The ancient city of Plovdiv awaits on the next part of the tour. The city is renowned for its ancient Roman heritage, with the Roman Theatre, Roman Stadium and the Aqueduct popular haunts for sightseers. The City of Seven Hills is brimming with cultural significance with the St. Marina Church and the Ethnographic Museum also well-worth a visit before you retreat to your hotel.